You may also want to check out our "Flipper (1995)" page. 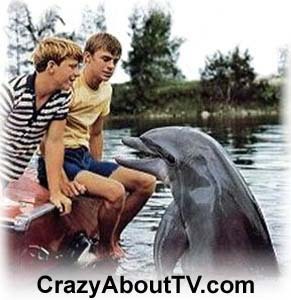 The Flipper TV show was a 30 minute drama series on NBC about two boys who live with their father in Coral Key Park, Florida. Their father is the park ranger. The boys have a pet dolphin named Flipper who, in most episodes, either saves one of them or helps them to save someone else from danger! By: "Henry Vars And Dunham"